With the DirectX 10 setting applied Resident Evil 5 still shows a preference for the Radeon cards over the GTX460s. We still find that the GTX460 768MB hasn't quite got the beans necessary to keep up with the 1GB variant, although it easily remains playable. Overclocked looks identical in terms of the order of cards, but the GTX460s now really gain a lot of performance from the extra oomph provided. Still neither of them can get up to the HD6850 or HD6870 yet. The Radeons continue their dominance at stock speeds. 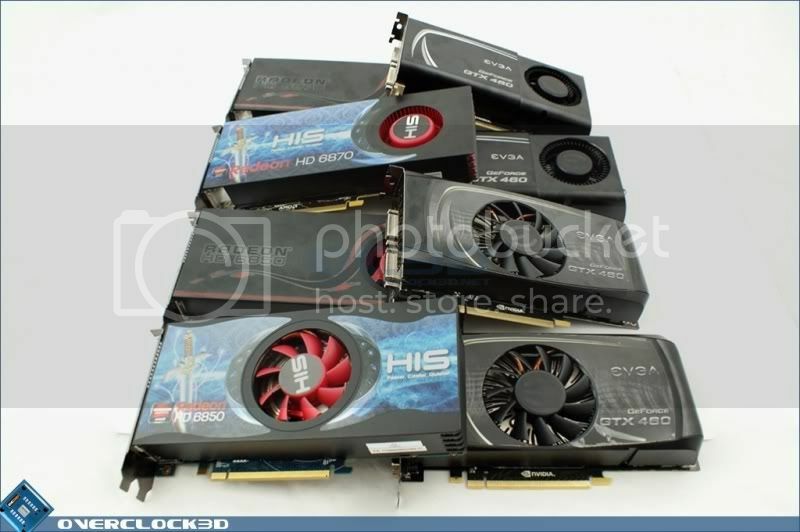 The smaller GTX460 gives a surprisingly good result, but equally surprising is the relative performance of GTX460 1GB. Once overclocked, something we've definitely seen has a larger effect on the performance of the GTX460s than the Radeons, everything neatly comes together with very similar performance across the board. A nice metaphor for the whole test really. Speaking of which, onto the conclusion.